Window Specialists and Custom Glass Installations. KR Installations are industry leaders in custom window and glass solutions in South Australia Using a mix of aluminium, steel and glass, we can create a limitless range of stunning possibilities. 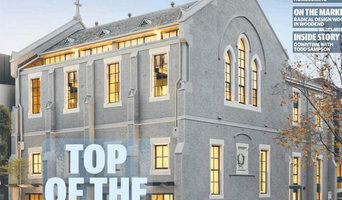 KR utilise the benefits of a European (Schuco) window and door system, fabricated right here in SA, with state of the art in house design resources, to create windows and doors on a grand design scale with superior German action, energy-efficiency and whisper quiet acoustic properties. ArborCrest are specialists in using our building and structural expertise to redesign a living space. The consultation, design and execution is completely taken care of by our team. 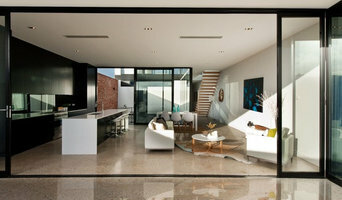 What our customers are left with in the end is a brand new living area full of space, light and amazing functionality. All of this is achievable by using our stunning doors, designed to meet all your needs, and a team of skilled people to bring your vision to fruition. Our main Goal is in ‘Creating Comfort’ for our customers. No one ever wants to feel uncomfortable, especially in their home or workplace. Our goal is to bring products to Australia which allow customers to maintain a comfortable temperature inside, be free from loud external noise, and feel safe from any intruders. We focus on impact and over-deliver on value. We supply high performance, double & triple glazed windows and doors in, uPVC, Aluminium, Timber and Composite (Aluminium exterior / Timber interior). We also supply flyscreens, blinds, roller shutters, automation as well as full commercial facades and conservatories or sunrooms. 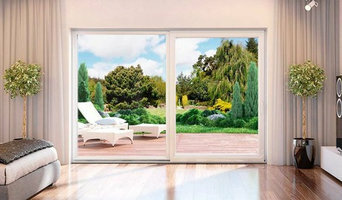 DoubleGlazed.com is a proudly South Australian business which manufactures high-quality uPVC windows and doors. We take an uncompromising line on quality and this commitment to excellence has allowed us to grow and flourish with an extensive list of loyal clients. Australian Window Solutions are Adelaide's largest manufacturer and installer of ultra energy efficient uPVC double glazed windows and doors. Double glazing Adelaide is now well under way with 6* energy efficient new homes and extensions now mandatory since September 2010. We are making what was once unaffordable products now within reach of most house hold budgets and backed up by our: 5% BEST PRICE GUARANTEE! We are making the next generation of windows more affordable and accessible for home-owners, owner builders, house builders and developers. Our policy at Australian Window Solutions is to be innovators and leaders in our field, constantly pushing the boundaries of performance and technology combined with aesthetical appeal. If your looking for innovative products for your project then you've found the right company with unique and exclusive products with prices to suit all budgets. So if you are renovating or building then you've found the right company with the right service with the right products and of course at the right price and we'll even back that up with our 5% Best Price Guarantee!! Call us now for your FREE no obligation quotation and feel the vastly improved lifestyle benefits of energy saving high security and noise insulating uPVC windows and doors. Say goodbye to those drafty ineffective single glazed windows that drain your energy costs and spoil your living comfort. Ask for our interactive displays to see and feel the difference that double glazed windows can make to your living comfort! Window specialists can recommend the most suitable type of window for your home, whether louvre, leadlight or sash, and will advise on the best positioning for style, function and energy efficiency. They can also survey existing windows for rot, improper sealing, worn hinges, and foggy double-pane glass, and will tell you whether or not a window replacement or upgrade will be necessary. The professionals in this category are also knowledgeable in sliding doors, bifold doors, French doors and other paned portals. Your window specialist may also work closely with Adelaide, South Australia builders and architects. Here are some related professionals and vendors to complement the work of windows: Shutters, Blinds & Curtains, Building Project Managers, Home Builders, Specialty Contractors, Cladding & Exteriors. Find a window professional on Houzz. 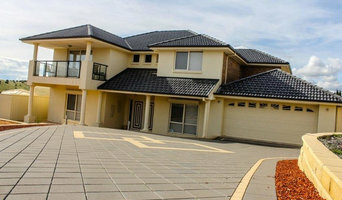 Narrow your search in the Professionals section of the website to Adelaide, South Australia Windows. You can also look through Photos to find examples of windows you like, then contact the professional who is responsible for them.